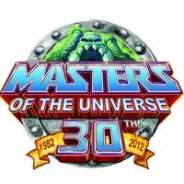 MattyCollector’s Facebook Page has been updated with some clarification on a few Masters of the Universe Classics rumors. Namely clarification on Elongated Man and Snake-Man-At-Arms. Okay. 100% not true. I must have made a statement (as has always been the case) reconfirming that, yes, it is still true that DC and Warner Bros has final say on our character selection, but in no way have they ever bared us from doing a character like Elongated Man! In fact just the opposite; DC and Warner Bros. have been amazing partners, always helping us to push the limit on character selection like Lobo in JLU and Swamp Thing in DCUC! Ralph is in no way off limits. In fact we have already done him several times. We even did an Elongated Man figure in JLU in an outfit he didn’t even wear on the show. That is how cool he is. There always seems to be one figure “we haven’t gotten to yet” that fans have thoughts was off limits or wasn’t going to happen. Be it Martian Manhunter, Flash 1 or now Elongated Man. The answer is always; just because your favorite figure is not out yet does not mean he or she won’t be in the line one day, keep your suggestions coming! If any websites reported a quote from me stating the opposite, I did not give any sit down interviews at NYCC, so this “quote” may have been strung together from different things orally overheard in the booth to different people. No statement of this type was officially announced or provided by Mattel or given to any site as a quote or interview. It sounds like it is a misinterpretation of a few things overheard in passing and then attributed (falsely) to me as a direct quote. Hope this clears this one up! Ralph is not banned in the least and we are really excited to get to him one day! 2: Snake Man-At-Arms will have a second head. Okay, hope that clears up some false info that was floating around. Keep those great character suggestions coming. We couldn’t do any of our collector lines without your input and that is why we love hitting the message boards and going to conventions to get feedback straight from our fans and customers! So there are no plans to offer a second head with Snake man-At-Arms. And they are looking into adding a Trap-Jaw/Robotto snap action accessory to him and that's it. I do not think many people will be happy with this. "Free comic" lol it's mini. I would have liked to have seen an helmet less Duncan with 200X poney tail and an arm cannon. IDK why they think if they give us a free comic they can just repackge repaints and we will eat them up. The new head and slight paint difference is not enough in my book. It's part of the sub so I will get one but don't expect me to be happy about it or think that we could have received a better subscription figure. First it's no 200X figs, then it head packs would be morbid. All I know is that there are atleast three threads on the .ORG about this Snake MAA and no one seems to like it as a sub fig. All points are valid. I think it's still a nice looking figure but he should really be 200X. Maybe they're saving up to give us a newly tooled figure and this is why they're releasing it as is? Toyguru did say they can only make so many extra heads and parts, plus new molds per year. So with the money they make on this figure probably means we'll be getting a new mold? Is Elongated man covert for Extendar? I thought he was a poor man's version of Plastic Man.